Bipartisan criminal justice reform efforts in Congress may be on ice for now, but red, blue, and purple states alike are moving full speed ahead with their own reforms. In particular, state policymakers are leading the way when it comes to second-chance policies. These measures give people with criminal records a fair shot at making a decent living and providing for their families—a recipe for cutting poverty, boosting public safety, and saving taxpayer dollars through reduced recidivism. Following decades of mass incarceration and overcriminalization, as many as 1 in 3 Americans now have some type of criminal record. Having even a minor record—such as a misdemeanor or even an arrest that never led to conviction—can stand in the way of getting a job, securing stable housing, and more. As a result, millions of people with records face bleak prospects for moving on with their lives and getting back on their feet. This has far-reaching consequences—not just for the individuals held back by their criminal history but also for their families and communities. In fact, a previous Center for American Progress analysis showed that nearly half of U.S. children have at least one parent with a criminal record and that the barriers to economic stability associated with a parent’s record can severely limit children’s life chances. Barring justice-involved individuals from becoming productive, taxpaying members of their communities also takes a toll on state and local economies—and even the nation’s bottom line. In fact, the Center for Economic Policy Research estimated that shutting people with felony records out of the labor market results in a loss of as many as 1.9 million workers and costs the U.S. economy up to a whopping $87 billion each year in lost gross domestic product. On the flip side, removing barriers to opportunity for people with records has been shown to boost local economies while reducing spending on the criminal justice system and public assistance. Here are six states that are leading the way to ensure the United States remains a land of second chances. Gov. Dannel Malloy (D) has proposed a package of laws aimed to reform the state’s criminal justice system, including one that would extend procedural rules used in the state’s juvenile justice system to young adults ages 18 to 20. For example, these individuals would no longer have their names released publicly; would not be incarcerated for more than four years; would have their police and court records automatically sealed if they complete their sentences and remain crime free; and more. These reforms would enable young adults to rebound from early interactions with the criminal justice system, allowing an easier transition back into the labor market. The bill makes exceptions for young adults convicted of motor vehicle crimes and class A felonies, among other serious crimes. Along these lines, Connecticut has also opened a new corrections unit exclusively for young adults—the T.R.U.E. Program, which stands for Truthfulness, Respectfulness, Understanding, and Elevating—that provides programming to better prepare them for success upon release. Additionally, Gov. Malloy has introduced legislation to reform Connecticut’s bail system, banning the use of money bail for misdemeanors unless the defendant poses a threat to others or has previously failed to appear in court. This proposal represents an important step toward reforming a two-tiered system of justice that treats people differently based on wealth. It would prevent people who have not been convicted of a crime from spending weeks and even months behind bars merely because they cannot afford to post bail. These reforms are a part of Gov. Malloy’s larger reintegration initiative, known as the Second Chance Society. Among its most notable legislative achievements was the passage of a 2015 bill that creates expedited parole and pardon processes for those with nonviolent, no-victim convictions and funds programming for vocational education and employment training, as well as supportive housing services for people with substance abuse and mental health issues who cycle in and out of the criminal justice system. Connecticut has also opened several reintegration centers, similar to the T.R.U.E. Program, that emphasize rehabilitation above punishment and prepare individuals for release. In 2016, Kentucky made headlines by passing a law allowing residents with lower-level felonies—punishable by one year to five years behind bars—to apply to have their convictions vacated or expunged. Now garnering bipartisan support in the state is a bill that would reform unfair restrictions on occupational licensing that bar people with criminal histories from entering high-opportunity fields, such as nursing. Final decisions regarding licenses would be made by licensing boards rather than the state. It would also enable inmates to work for private employers while behand bars and earn at least the $7.25 per hour federal minimum wage rather than the pennies per hour most inmates receive for their labor. This same piece of legislation—now awaiting Gov. Matt Bevin’s (R) signature—would also establish a pilot program to boost substance abuse treatment and intensive supervision for those on parole, thereby reducing recidivism. Currently pending in the Michigan legislature is a package of 20 bills that, together, would amount to comprehensive statewide criminal justice reform. Several of these bills specifically target re-entry. One of the proposed laws would collect data on recidivism in an effort to reduce the rates at which people with criminal records have additional interactions with the criminal justice system. Three others standardize the definitions of terms that are related to recidivism. Another bill, the Recidivism Reduction Act, would require the Michigan Department of Corrections and local agencies that receive state funding to supervise probationers and parolees using evidence-based practices. Yet another, the Parole Sanction Certainty Act, would help those on parole avoid returning to prison by providing a structured program that prepares them to reintegrate into society. Additionally, one of the bills would help prepare young adults in prison for re-entry with age-specific rehabilitative programming. Under consideration in the Pennsylvania General Assembly is legislation that would substantially remove barriers to employment for residents with minor, nonviolent criminal records. 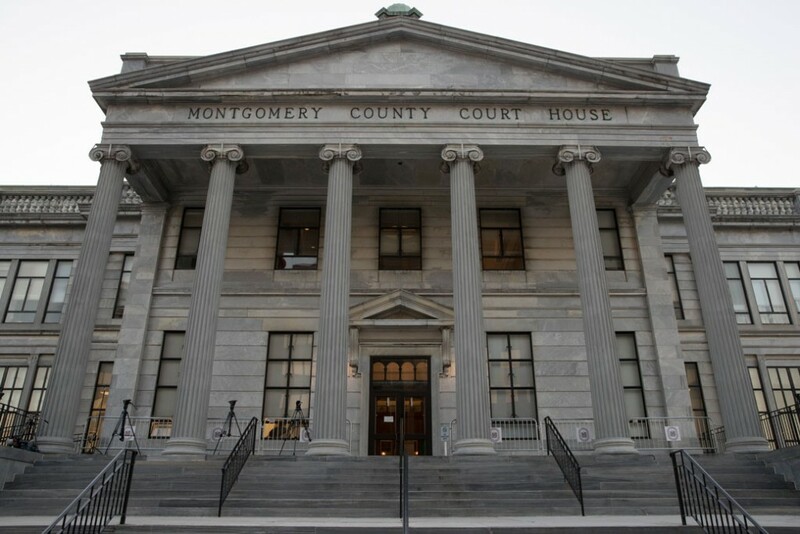 Known as the Clean Slate Act, this bill would allow such records to be automatically sealed if Pennsylvanians do not acquire subsequent convictions after a certain period of time. That time period is a decade for misdemeanors and five years for summary offenses such as loitering and low-level retail theft. Past convictions would remain visible to law enforcement but would be sealed from the public—including potential employers, landlords, and admissions committees—allowing individuals with prior convictions to gain a foothold in the labor market or continue their education. This legislation comes on the heels of a law signed in 2016 by Gov. Tom Wolf (D) that allows individuals who complete their sentences for third- and second-degree misdemeanors and do not face arrest or prosecution for 7 years to 10 years thereafter to petition the court for an expungement. This legislation significantly expanded who is eligible for record-clearing in the state. A number of bills pending in the Tennessee Legislature aim to reform the state’s re-entry policies. Among them is a piece of legislation that would improve access to record-clearing for people with criminal convictions by reducing the state’s expungement fee from $350 to $180. Relatedly, another bill would permit someone with no more than two convictions to petition for an expungement of both convictions five years after the more recent of the two sentences is completed or after 10 years in the case of a drug offense. A third would amend expungement processes for juvenile records, including establishing an expungement process for individuals who have successfully completed pretrial or judicial diversion. Yet another bill would separate a petition for a certification of employability from the process of restoring the rights of citizenship, making the former easier to obtain and thereby helping Tennesseans with criminal records re-enter the labor market. These efforts come on the heels of the state’s 2016 passage of ban-the-box legislation, which requires state employers to defer asking about applicants’ criminal records until later in the hiring process. Following his historic announcement that he would begin to restore voting rights for certain Virginians with past felony convictions, Gov. Terry McAuliffe (D) proposed a sweeping package of reforms to Virginia’s criminal justice system. Two of these bills—which have since passed the Republican-controlled Virginia General Assembly—would remove barriers to re-entry by reforming the practice of suspending the driver’s licenses of those who either cannot afford to pay court costs or committed an offense unrelated to driving. Due to this penny-wise, pound-foolish practice, at least 900,000 Virginians—or about 1 in 6 drivers in the state—have had their licenses suspended, limiting their mobility and thereby their ability to earn a living. The first of the two bills would allow Virginians with a first-time marijuana conviction to avoid a six-month suspension of their licenses. The second would make it easier for people with unpaid court debts to enter into an affordable payment plan to avoid having their licenses suspended. The lifelong consequences of having a criminal record stand in stark contrast to research showing that once someone with a nonviolent conviction stays crime free for just three to four years, that individual’s risk of recidivism is no different from the risk of arrest for the general population. That is to say, people with criminal records are treated as criminals long after they pose any meaningful risk of reoffending—making it difficult for many to move on with their lives and achieve basic economic security, let alone have a shot at upward mobility. Policymakers at all levels of government—including those in Washington, D.C.—should follow the lead of these and other states by adopting policies to ensure that Americans with criminal records have a fair shot at making a decent living, providing for their families, and joining the middle class. It is not only the tens of millions of individuals who face closed doors due to criminal records who stand to benefit—but also their families, their communities, and the economy as a whole. Eliza Schultz is the Research Assistant and Rebecca Vallas is the Managing Director for the Poverty to Prosperity Program at the Center for American Progress.